Gotobus.com partnered up with Cambridge non-profit organization, bringing awareness to bus riders. Bus-travel search website GotoBus.com recently announced a new partnership with Cambridge local non-profit organization Green Streets Initiative. The endeavor will hopefully inspire more travelers to choose a sustainable way of traveling, especially for the Boston local communities. Green Streets Initiative holds a Walk/Ride Day each month, asking participants to change their ways of commute for a day. As a result, commuters can reflect on the impact of the daily commute on finances, health, and the environment. As their most recent retail partner, GotoBus.com will be offering promo codes to Green Street Initiative active members. Starting from today, participants of Walk/Ride Day can receive a 5% off discount on bus tickets from New York to Boston. 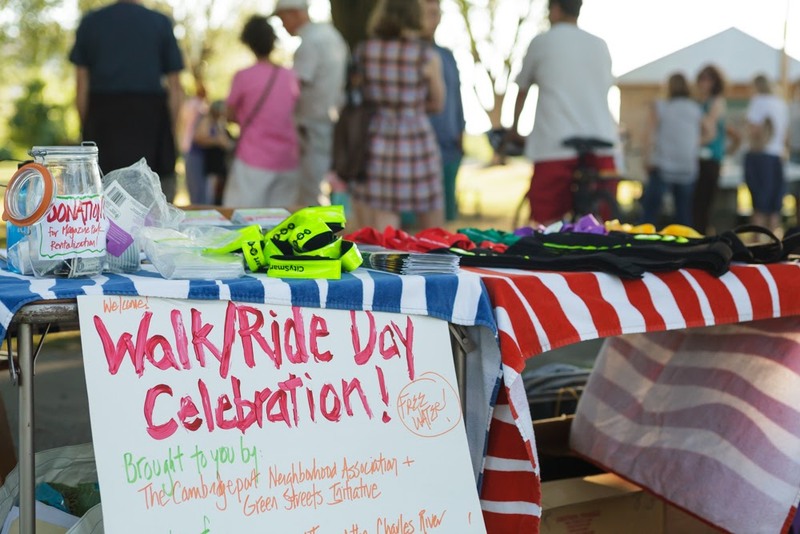 The upcoming Walk/Ride Day will take place on Friday, March 29 (sign up here). With the growing trend of eco-friendly commute and green travel, people are more conscious of the carbon emission of daily transportations. According to the 2018 energy report of U.S Energy Information Administration, trains and buses consume only 3% of total energy used by the transportation industry. As a leading bus-ticket booking platform in the U.S, GotoBus.com is dedicated to offering consumers affordable and eco-friendly alternatives for inter-city transportations. To emphasize on the daily commute by bus, Green Streets Initiative made June Bus Month, during which they will hold several public events for green travel commuters. A breakfast gathering will take place on June 28, 2019, at the Whole Foods Market in Somerville, MA. Coach Run understands that going south of city to get into Manhattan, just to catch the bus and then go back north again didn’t make much sense. Citizens of the Bronx no longer have to deal with the hassle that comes while making their way into Manhattan to catch a bus to Boston. As you may hear all the time from locals and visitors alike, you don’t really need a car to get around NYC. Well, that’s so true. If you are familiar with the Metro, you can basically get to anywhere in the five boroughs by train. The new departure location in the Bronx is near Pelham Bay Park Station. Take the 6 Train Uptown to the last stop of the train which is Pelham Bay Park Station. Once you arrive, get off the train and head south west along Bruckner Express Highway until you meet Middleton Rd. It is only 11 minutes walk considering you are a slow-pace walker like me. What are you waiting for? Get your Bronx Bus Tickets to Boston for as low as $8. Looking to Travel from Boston to New York? Take the Coach Run Bus! Do you need an affordable bus ticket that gets you to Boston or New York? Well, take the Coach Run Bus, it will get you there in no time. I personally have taken the bus many times already to see my family and friends in New Jersey/ New York. So I can tell you almost everything you need to know about the bus route. multiple times of departure and depending on which day, different prices. Where are you going to be celebrating this fun weekend of Thanksgiving? Thanksgiving Weekend Fun! It is a busy time for travel. A lot of people will be trying to get home to spend time with their loved ones. If you’ll be one of the many weary travelers this year, you should visit GotoBus.com, one of the web’s leading marketplaces for affordable bus tickets, to find the route that will get you where you need to go. Thanksgiving dinner tastes great, but it tastes even better when surrounded by those closest to you! The Macy’s Thanksgiving Day Parade is the most anticipated event on the holiday, and this year, marks the 89th year the parade has been running. Not only do crowds of people line the streets of Manhattan to see floats of their favorite cartoon characters, like Snoopy and Spongebob, but there will also be performances from talented marching bands, cheerleaders, dance teams, and more! This year’s parade will also feature musical performances from crowd favorites like Jordin Sparks, Prince Royce, Train, Andra Day, and Shawn Mendes. Be sure to check out the official website for the complete list! Even though thousands of people line up on the streets of Manhattan to watch the parade in person, even more people tune in on their televisions to watch from all around the US. Be sure to book tickets to New York to see this huge celebration in person before they sell out! The very first Thanksgiving was held in the Greater Boston Area in Plymouth, MA when the Pilgrims broke bread with the Native Americans who lived in the area. Plimoth Plantation is a living museum (actors will be in costumes and acting out what life was like back then) where you can see a replica of the original community they established in 1620. We can’t think of many better ways to celebrate Thanksgiving than by reliving the history that is behind the holiday. Book bus tickets to Boston for an authentic Turkey Day experience! New York’s not the only major American city that hosts a parade! Chicago is another huge urban area (and it’s cleaner than NYC!) that knows the best way to get down, hosting the annual McDonald’s Thanksgiving Parade. Beginning on State Street downtown, the parade runs from 8 to 11 AM. Though it’s been held since 1934, McDonald’s became the first title sponsor in 1984. The mascot is Teddy Turkey, a plump, fun-loving bird who goes around spreading holiday cheer. Hang out with Teddy by booking bus tickets to Chicago now! The Seniors First Turkey Trot 5K has been a Thanksgiving tradition in the Orlando area for the past 25 years. It’s a race around Lake Eola to help benefit the area’s senior citizens. Participants are invited to wear Pilgrim attire or turkey costumes and race to the finish! This is definitely a great opportunity to take some pictures of people in ridiculous outfits! There are also countless theme parks in the Orlando area to help keep your family entertained. Book your bus tickets to Florida now at an unbeatable low rate! On November 29th, Los Angeles will host the Hollywood Christmas Parade. OK, we know, it’s not for Thanksgiving, but that seems a little early for Christmas, doesn’t it? This year, magician duo Penn and Teller have been selected as the Grand Marshalls for the parade, so it’s sure to be a magical experience. The parade begins at 5 PM on Hollywood Boulevard. Book your bus tickets to California now! After a few tough years, it finally seems like Detroit is back on the upswing. This is great news for the automotive capital of the US. You can join the local community in celebrating and show off your patriotism by joining America’s Thanksgiving Parade. It’s the second-oldest parade in the country (after Macy’s), and features similar floats. The climax of the parade is the arrival of Santa Claus, who announces the beginning of the Christmas season. Book tickets to Detroit from cities all around the around the country! These are just a few of the events happening around the US this Thanksgiving. If you don’t want to travel far, you should go online to find parade and events closest to you. With GotoBus.com, not only will you have access to affordable bus routes to cities all across the US and parts of Mexico, but you will also be able to book your hotel, so a nice, warm room will be ready for when you get there. Safe travels and happy Thanksgiving! On Wednesday, November 11, the United States will celebrate Veterans Day, a holiday held in honor of its citizens who served in the Armed Forces. While Memorial Day in May honors those who gave their lives serving their country, Veterans Day is meant to show appreciation for those men and women who are still living. If you are not a veteran yourself, odds are that you know someone who is, whether they are a family member, a friend, a coworker, or even the barista at your local coffee shop. Veterans are all over the place, but when they’re out of uniform, there’s no way to distinguish them from regular civilians. That is why a holiday like this is so important: it gives us a chance to realize that we are surrounded by brave people who are willing to put everything on the line for the safety of our country. So, if you see someone in uniform on Wednesday, make sure to thank them! Below, we’ve included some events happening and ways to contribute in various cities across the country that will be held in honor of Veterans Day. Washington, D.C. is the number one place to go if you want to join in the festivities to honor veterans. The main event in D.C. each year is the Concert for Valor, a huge musical event held on the National Mall. The event is always able to book some of the music industry’s biggest names, but this year’s lineup is going to be something special! The performers include indie-rock duo the Black Keys; “the Boss” himself, Bruce Springsteen; former American Idol winners Carrie Underwood; Grammy and Academy Award winner Jennifer Hudson; Dave Grohl, former drummer of Nirvana and current lead singer of the Foo Fighters; superstar rapper Eminem; legendary thrash-metal group Metallica; and, last but not least, Rihanna, a pop sensation and fashion icon. The show starts at 7 PM and is free to attend! Arlington National Cemetery is a beautiful area to visit at any point during the year, but on Veterans Day, there are several ceremonies held around the grounds. Among them will be the 17th annual Women’s Military Memorial Service, held in honor of the brave women who have served in the military. These days, there are many people who question whether women have a place in the military, so it’s refreshing to see these brave ladies getting the recognition they deserve! D.C. is also filled with war memorials and monuments, and each one has a different ceremony scheduled to honor its veterans, including the Vietnam Veterans Memorial and the United States Marine Corps Memorial. Soldier Field is the home of Chicago’s NFL team, the Bears. It was named in honor of the fallen soldiers in World War I. At 11 AM on Veterans Day, there will be a special ceremony at Gate 0. Then after that, head up to Navy Pier, one of the city’s most entertaining areas. There are several restaurants where you can get a delicious bite to eat, a Ferris wheel that offers an amazing view of the city’s skyline, Lake Michigan cruises that leave from the docks, and much more! The Big Apple hosts the annual America’s Parade each Veterans Day, the largest celebration of veterans in the country. This event gets a lot of media coverage, and this year, it will be broadcast on television and live streamed on the internet, so you can watch from anywhere in the world as wave after wave of service men and women march up Fifth Avenue. There will be over 250 groups and 20,000 people marching in the parade. The opening ceremony is scheduled for 10 AM near Madison Square Park, and the parade will follow at 11:25. The Battleship USS Iowa Museum is located inside a retired Navy vessel in Los Angeles Harbor. The boat itself was an important ship in the Pacific Theater in World War II. Every year, it holds a Veterans Appreciation ceremony that lasts 4 days. Beginning on November 8th, visitors will not only get the chance to honor veterans, but also learn about the history of this famous ship. There will also be a Veterans Day commemoration at the Ronald Reagan Presidential Library, which will include live musical performances, a display of military vehicles, a flyover with real military aircraft, and more. The program begins at 11 AM. It is a sad truth that after completing their service to the country, many veterans are unable to find jobs as civilians and end up on the streets. If you’re going to be in Beantown on the 11th, please consider volunteering at the New England Center for Homeless Veterans at 17 Court Street, where you will help serve meals to over 250 men and women who found themselves in an unfortunate position after their service. Volunteers must register with the organization ahead of time, so give the NECHV a call or visit their website to fill out the necessary form. This isn’t a once-a-year event, either: the Center does this every day, and it can always use volunteers! These are only a small sample of the countless Veterans Day parades, ceremonies, and events that are scheduled for November 11th. Whether you live in the biggest of cities or the smallest of towns, there is sure to be an event near you, so head out and show some appreciation for these courageous veterans. And, as always, if you need to make any travel arrangements, visit GotoBus.com! Are you excited to return to campus? but before doing so, kick back on a cool trip! Unless you spent the past few months at a research station in Antarctica, you will have probably noticed that we’re in the dog days of summer when the weather is at its muggiest, and the next school year is looming overhead like a dark shadow. Yikes! Pretty soon, all you college students out there will be saying bye to Mom, Dad, and your friends from back home, and either returning to your buddies on campus or heading there for the first time. It’s such a fun, yet challenging experience. At GotoBus, we think we’ve got a great idea: why don’t you grab a few of your friends together to set out on an affordable trip to one of the country’s best cities? There are so many hip activities happening all over, from music festivals to interactive exhibits at museums and more. We’ll be happy to help you kick back on a cool trip before returning to campus with a few last-minute event suggestions occurring across the U.S.A. The Palace of Fine Arts is an absolutely beautiful monument, originally built for the 1915 Panama-Pacific Exhibition. These days, it hosts art exhibits and other events, but any groups going to San Francisco should check out some of the games the facility hosts, such as scavenger hunts, which are fun for families, and friends. For a more intensive game that will test how well you and your friends can work together as a team, reserve tickets for the Great Houdini Escape Room. This puzzle challenge was originally designed by Harry Houdini himself, the most famous illusionist of all time, for the 1915 Exhibition, and is now celebrating its 100th year. Your group will have 80 minutes to solve a series of puzzles in an effort to get out. Keep in mind that only about 25 percent of teams are successful, so be sure to call your smartest friends! NYC Summers- Fun in The City! New York, New York! No matter what time of year you visit this sprawling city, there will always be an endless series of events happening, but in summer, things really take off. Whether you’re rolling like a queen through Queens, chilling with the hipsters in Brooklyn, or living luxuriously in Manhattan, you’ll always be able to find free concerts, outdoor movie screenings, hip rooftop parties, and so much more. GotoBus.com is a leading online marketplace where customers can book bus tickets, as well as hotel accommodations and more, from one convenient location. We also understand the importance of traveling on a tight budget, and we make it our goal to cater to the needs of such customers. And we just can’t get enough of NYC. We think it’s easily one of the most exciting cities in the whole world, so we’re always trying to sing its praises and convince people to visit. Below, we’ve compiled a short list of some events happening in the Big Apple over the next few months, making sure to throw in some that are totally free of charge, so you can enjoy the your vacation while still having plenty of money left over for souvenirs. There is a great deal to said about the fact that the iconic plays of William Shakespeare, who was alive about hundreds of years ago, are still performed today. They really prove that art contains a timeless power to reach people across time and cultures. Shakespeare in the Park, in its 53rd year, is held at the Delacorte Theater in Central Park, is free (you just have to wait in line for a ticket), and runs continuously through the summer until August 23rd. This year, the park will be putting on Cymbeline, a story about a British king and his daughter. Shakespeare in the Park could potentially offer some odd surprises and quirks to theater-goers: in the past, weather-related issues have forced performances to stop-and-start at random intervals, and occasionally, some of the park’s local wildlife have made it onstage for a cameo. Boston, another city with a vibrant theatrical community, is only a few hours away. Book your bus tickets from Boston to New York starting at $18 one way! If you’re getting too hot, the city has about 14 miles of beaches that are loaded with activities. Take Coney Island, for example, an iconic landmark in Brooklyn, where you will find a lively boardwalk, a thrilling amusement park, and a huge cast of interesting characters. Nearby, you can also choose to go to Brighton Beach, an area traditionally filled with Russian immigrants, and Rockaway Beach, preferred by the hip, cool, and young since the Ramones named a song after it. On the New York’s Parks Department website, you view a list of the free outdoor pools in the city. Book bus tickets from Washington DC to New York for as little as $21 one-way to escape all that heated political debate! Do you ever find yourself daydreaming about the “Roaring 20s,” rereading F. Scott Fitzgerald’s classic novel The Great Gatsby (or watched the Leonardo DiCaprio movie) over and over, and dressing up in your zoot-suit or flapper gown for a night of swing dancing? Or, instead, do you find that you don’t understand any of those references? Either way, you should check out this Jazz Age Lawn Party, an exciting outdoor event on Governor’s Island, scheduled for the weekend of August 15th. You’ll be able to dance the Charleston, Lindy Hop, or a bunch of other dance styles that you’ve never heard of (don’t worry: there will be people there to help teach you!). Tickets for the party start at $35. Chicago is another city with a deep history in the Prohibition Era, so this would be a great way for visitors from that area to connect to their own local history. Book your bus tickets from Chicago to New York for as little as $60 one-way. Ready, aim, fire! When was the last time you were in a water-gun battle? Most of you probably couldn’t remember anything more specific than “When I was a kid.” And you know what? That’s lame! Water-guns are a blast (get it?) for all ages. This is obvious to the organizers of Waterfight NYC, an annual free-for-all water-fight welcome to all. Though the exact time of this event have yet to be revealed, we know that on July 25th, a massive crowd (last year, thousands of participants unleashed their battle cries!) will gather on Central Park’s Great Lawn for this ultimate showdown, the water-gun battle to end all water-gun battles. This event is free to attend; you just need to remember to arm yourself with finest in Nerf technology. Book your bus tickets from Atlanta to New York starting at just $35 one-way. GotoBus is always happy to assist its customers in their quest to find affordable bus rates and accommodations wherever they wish to go. There are many other popular cities from where you can start your journey and grab your bus tickets to New York City. With our help, you will also be able to find thousands of routes to destinations across the USA, as well as a select few in Canada and Mexico. With more added each week, there’s always somewhere new to visit, whether you want to live large and in charge in the Big Apple, or have your heart set elsewhere. Visit GotoBus.com now to find your dream summer vacation. Have a great summer and happy travels!